There are a few trends I’ve noticed this Fall and embroidery seems to be so hot right now. I’ve been shopping a lot at Suzy Shier lately as they are one of my favourite Canadian retailers. 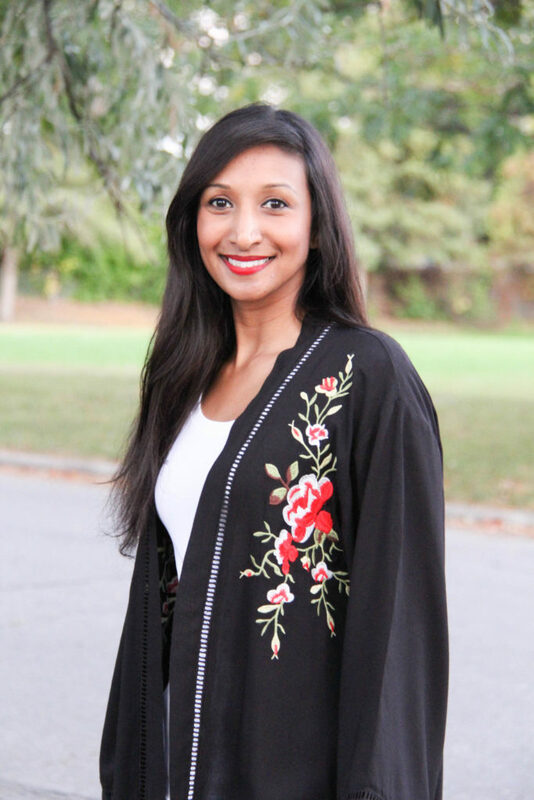 I picked up this cute embroidered kimono top on one of my latest shopping hauls. It’s totally on trend, super light and easy to wear. You can dress it up with black pants and stilletos or opt for a casual look like I did. I’ve paired it with a basic white tee and these cropped distressed skinny jeans from Suzy as well. The jeans can be worn as is with a frayed hem or you can roll them up in to capris like I did. I found these olive peep toe booties at Payless and they just seemed to fit so well.